Let's start with the big moment of the hour, Ressler knows. He knows that Elizabeth Keen is hiding something from the taskforce but for now he's willing to go along with it. He's someone who has always been anti-Reddington, and seeing him not tell Cooper at the end was satisfying especially after how many allies that Red looked like he was putting together behind the scenes. Even if at the same time much of this episode was pinpointed to show how much like Red she's turning into, with even Jennifer acknowledging that she does not want it to happen to her. She's not ready to give a man a gun so he can kill himself yet. Elizabeth is. That's the main difference, and if Jennifer is who she says she is, and not an imposter, then the options are there for a potential conflict between both characters. So whilst Elizabeth may have gained one ally, she may be treading waters with another. The scheme to set up the new Blacklister was a risky one, tipping the FBI off and pretending it was from Red even though he had no idea that the whole scheme was going on. Whist Cooper's just happy that a man who they were investigating was killed it could come back to bite them especially if Red wants to catch up on what they've been up to during his time in a federal medical institution. Red's story was the less interesting one of the week, as he was put through his own Rorschach test. His main aim was to use a self-requested psych evaluation as cover so he could meet up with a deranged Blacklister to gain information. So both teams split out on their own in search of answers that could bring them closer to learning the truth. Elizabeth couldn't key in the FBI on the full reasoning behind the search for Gerald Klepper this week for obvious reasons, as we learnt that Klepper helped victims who wanted to live and get out of sticky situations. Of course someone like Klepper is going to be interested when he sees Elizabeth, willing to risk a very promising career in the FBI - coming to him for answers in a no-win situation. He's playing his game right to the end, and gives Elizabeth a choice that she definitely wouldn't have made in the first season. 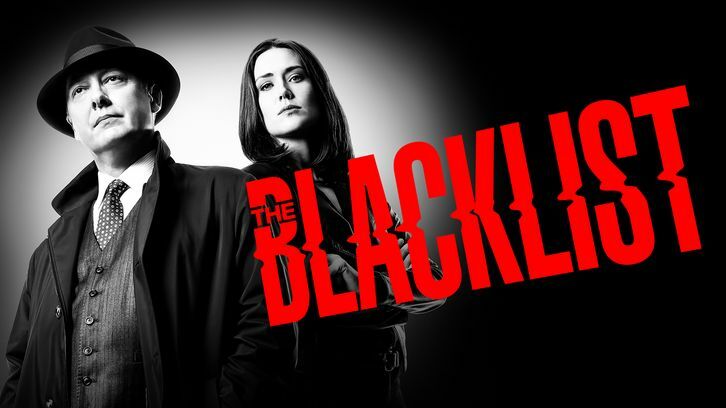 Episodes like The Ethicist serve just how much character development has gone into Elizabeth, and even though the attention will always be on James Spader, Megan Boone is once again shines in this episode. The ethical dilemma presented in this episode helped it remain heavy hitting than most of your usual case of the week storylines that the show has given us so far and whilst questions may be raised as to why Klepper couldn't have just shot Elizabeth after he'd been given the gun and tried to do a runner before the FBI got there, director Bill Roe and writer Taylor Martin hit most of the right notes elsewhere, and now, both Elizabeth and Red have their names that they desperately wanted. Elizabeth and Jennifer now know that they need to find Marguerite Renard, who according to Klepper, knows who Reddington was, but more pressingly, their time is running out. Not only is Red declared sane enough to present his own defence in court following his intervention to save his psychiatrist's life from Atticus, he now has a name of his own to add to the list. General Shiro.